From the village it is possible to admire the majestic northern side of Mount Jôf Fuart (2666 metres high). The dark slopes of Cima di Rifreddo Peak, Torre delle Madri dei Camosci Peak, as well as the dark peak of Mount Jof stand out high above steep screes and snowy canyons. 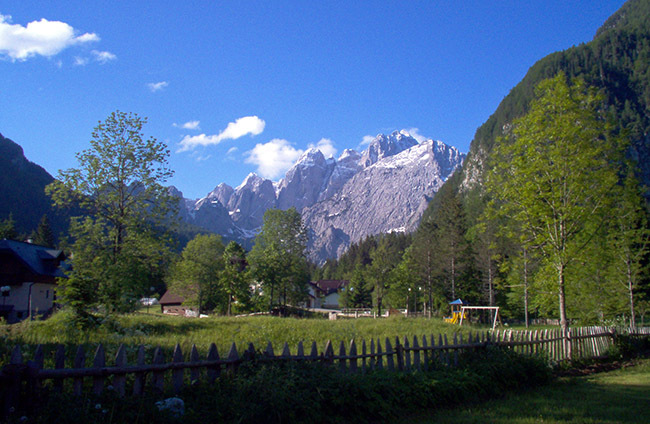 On the right stands the great Grande Nabois Mountain: here we are in one of the most arduous and unforgiving areas of the Italian Julian Alps.